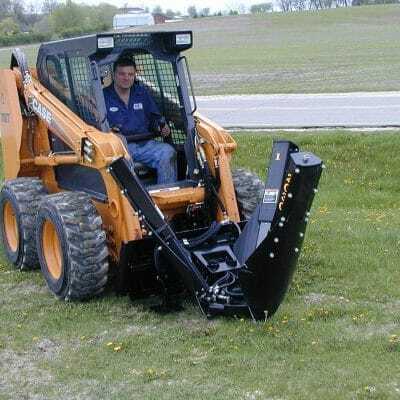 Top quality skid steer tree spade attachments for sale. We ship tree spades anywhere. Call us for pricing and availability. 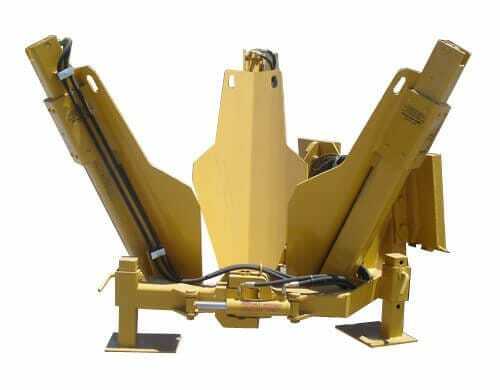 Rugged, dependable tree spade attachments from Dutchman, Bradco and Bobcat transforms you skid steer loader into a transplanting unit, while speeding up production and cutting labor costs. Tree spades easily squeeze between closely-planted trees allowing you to dig, transplant, and package trees without leaving the comfort of the operator’s seat. The tree spade works in a variety of soil conditions, maximizing worksite capabilities. You control tree spade operation with the fingertip controls integrated into the loader control handles.